The Disneyland Resort has confirmed a few more details of the Paradise Pier reboot that will permanently transform the area into Pixar Pier, featuring several neighborhoods themed to different Pixar films. 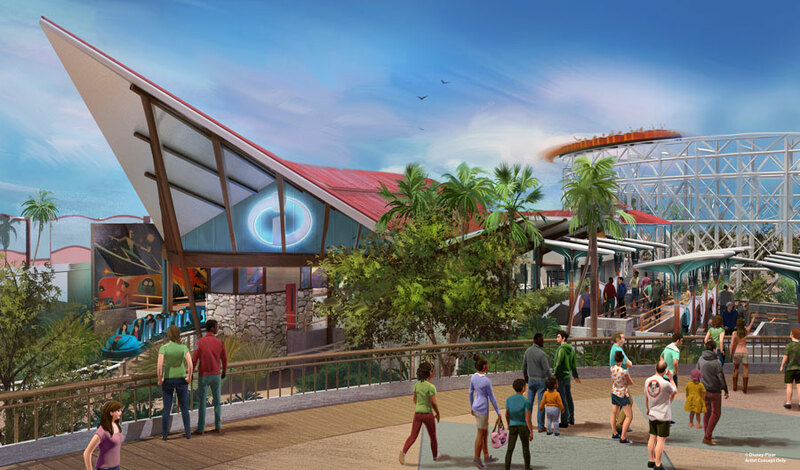 Beginning January 8th, California Screamin’ will close to begin a makeover to the Incredicoaster, which will anchor a neighborhood themed to The Incredibles. The transformed coaster featuring a new mid-century-modern-style loading area is expected to reopen next summer. Another neighborhood will be anchored around Toy Story Mania, while a third neighborhood will feature other Pixar stories, with some of the Games of the Boardwalk being rethemed with Pixar characters. Mickey’s face will remain on Mickey’s Fun Wheel, however, the gondolas will be themed to Pixar characters. Games of the Boardwalk, Mickey’s Fun Wheel, and Sideshow Shirts will close January 8th to begin the changeover. A neighborhood on the west end of the boardwalk anchored by a family-friendly Inside Out attraction will open later. Across the bay, Ariel’s Grotto and Cove Bar will close on January 8th to be transformed into a new bar and grill. Cove Bar, will reopen briefly in April, before closing again to complete construction. 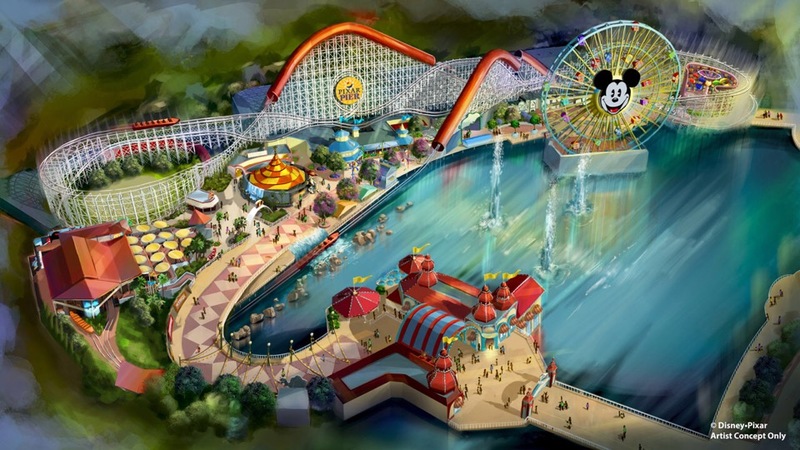 The remaining areas of Paradise Pier, including the Paradise Gardens restaurants, Goofy’s Sky School, Jumpin’ Jellyfish, Golden Zephyr, Silly Symphony Swings, and The Little Mermaid-Ariel’s Undersea Adventure will become a new land called Paradise Park. Pixar Pier will open April 13th as the entire Resort begins Pixar Fest, which includes new fireworks at Disneyland Park and new entertainment at both parks.